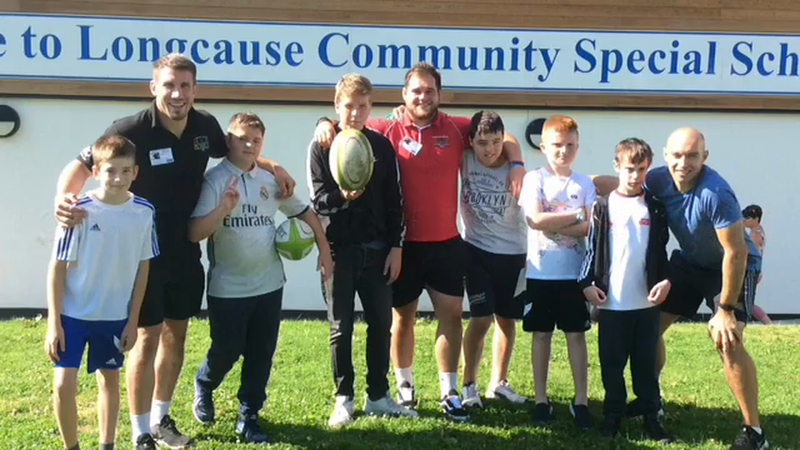 At Longcause we give a high priority to maximising the opportunities for the physical development of our pupils and promote that fully embracing a healthy and active lifestyle can have positive and far-reaching consequences on physical and mental well-being. We aim to ensure that all students leaving Longcause can swim a minimum of 25 metres unaided. By utilising Devon's premier swimming venue, Plymouth Life Centre, as well as other local facilities, we are able to offer swimming lessons to all of our students. We consider the ability to swim to be a highly valuable life skill and we are delighted that our students receive professional tuition in a high class facility. 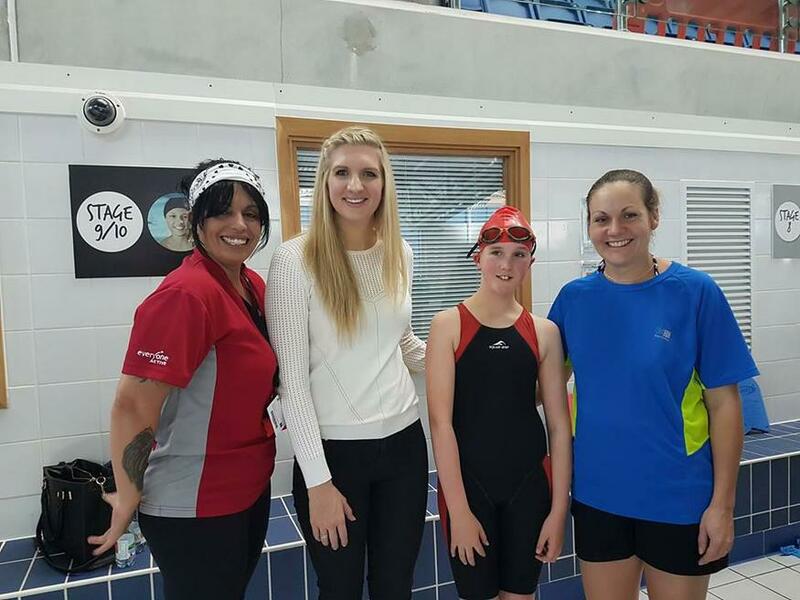 Inspired: Longcause student Abi Daley meeting Team GB's swimming Olympic legend Rebecca Adlington with teacher Chrissie Clark at Plymouth Life Centre during one of her school swimming sessions. We aim to ensure that all students leaving Longcause can ride a bike. We have made significant investment towards this goal by purchasing a range of bicycles suited to all ages of our students. These range from balance bikes through to adult-sized 21 gear mountain bikes. We understand that the benefits of being able to use a bike reach beyond cycling being an excellent form of exercise. We feel that the ability to cycle confidently can give our students a greater degree of independence and self-worth as they move into their teenage years and adulthood. Geared up: Longcause students proudly receiving a fleet of brand new mountain bikes . All of our primary pupils are taught by a specialist PE teacher, who works alongside our occupational therapist to provide the best learning and physical development opportunities for our pupils. Our primary PE curriculum was re-written by our specialist with input from the occupational therapist and allows pupils to develop the key fundamental movement skills across a variety of activities. Our pupils especially enjoy and gain a great deal from the variety of gymnastic activities they are taught. Gymnastics is a sport that provides an enriching environment filled with opportunities for sharpening the mind by stimulating the brain, developing social communication skills and strengthening gross and fine motor skills. Each of our sessions are differentiated to meet their needs. Pupils relish in the opportunity to be given the next step of the skill or a new skill and pupils are engaged and excited to be doing PE. We aim to ensure that all students leaving Longcause will have earned the Duke of Edinburgh Award. Following a successful pilot in 2015, we enter all of our year key stage 4 students onto the Duke of Edinburgh Award. The award demands that all students take part in an expedition which must be planned, trained for and completed unaccompanied. Additionally, all students complete a 'physical' component of the award where a 'sustained level of physical activity' must be demonstrated across a minimum of 3 or 6 months on a weekly basis. We organise 6 competitive inter-house sports events across each school year and every child at Longcause is given the opportunity to play a range of sports competitively in a fun, challenging and safe setting. As a part of these competitions, we strive to embed lessons for life including how to win and lose graciously and being able to function as an effective team member as well as nurturing an appetite for wanting to play more sport. Need for speed: Students giving their all, competing in our inter-house sports morning. Across each year, we actively seek further opportunities that will give our students the chance to take part in physical activity and encourage it as a lifestyle habit that they can embed for life. 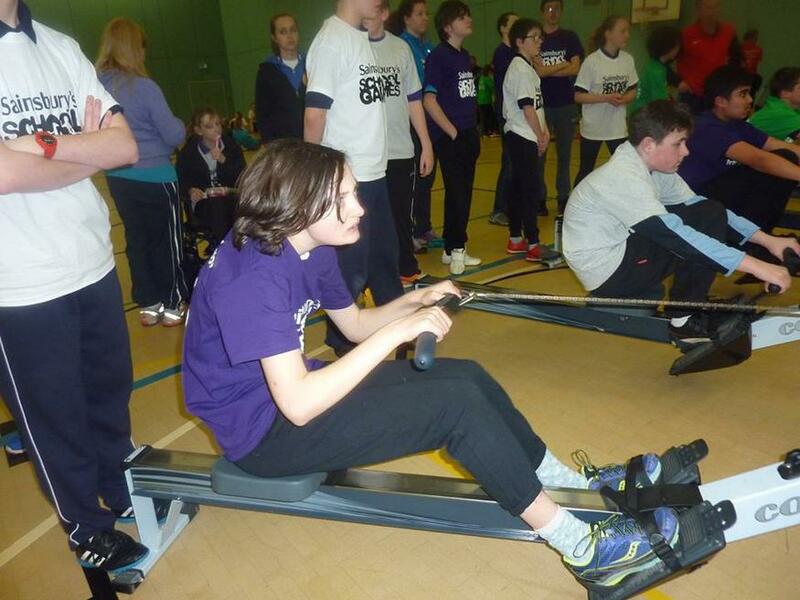 Oarsome: Longcause competing at the Sainsubury's School Games in the indoor rowing event. Please see this video to get a 'flavour' our annual sports week. We are so proud of our pupils' willingness to participate, apply full effort and display a terrific sportsmanship.